Funeral services for Mr. Freddie James Dice of Americus, Georgia will be held on Saturday, November 28, 2015 at 11:00 A.M. at the Perry Grove Baptist Church in Leslie, Georgia with Evangelist Sara Dice officiating. Burial will follow at the Eastview Cemetery in Americus, Georgia. Mr. Freddie (Frederick) James Dice affectionately known as Fred was born in Sumter County, Georgia on May 4, 1952 to the parentage of the late Willie Dice Sr. and Mattie B. Dice. He was educated in the Public school of Sumter County. At an early age he joined the Perry Grove Baptist Church under the leadership of Rev. H. L. McGruder. 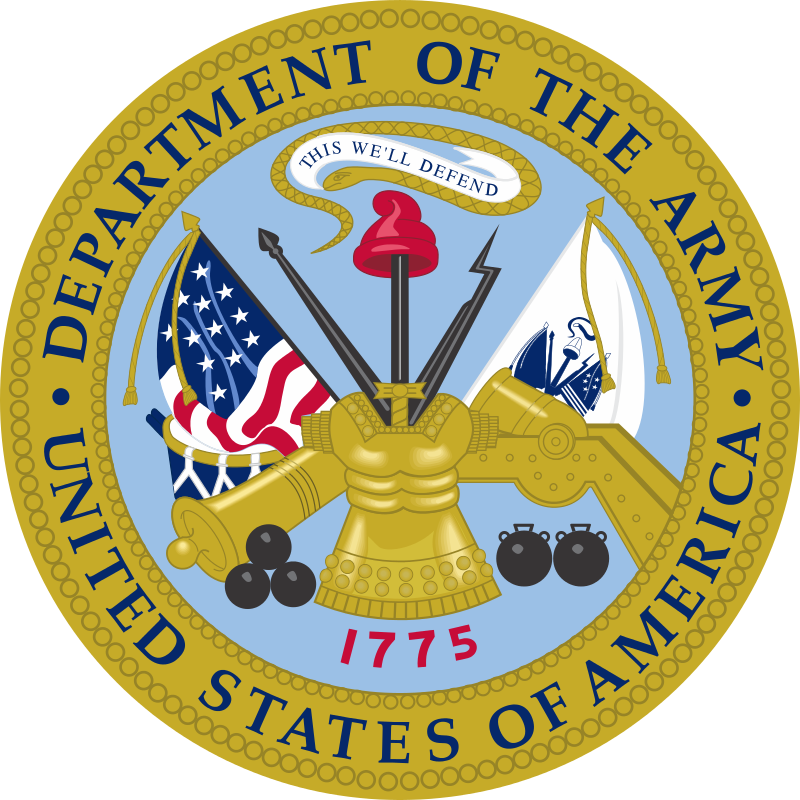 After graduating he enlisted in the Army in 1972, he served for twenty years. He was married to Joyce Dice. “Fred” worked at the Country Club for ten years, and later went to Magnolia Manor and worked for twelve years in dietary. He was preceded in death by three brothers; Willie Dice Jr., Bobby Dice, and Robert Charles Dice. Fred died peacefully on Tuesday, November 24, 2015 at his home in Americus, Georgia. 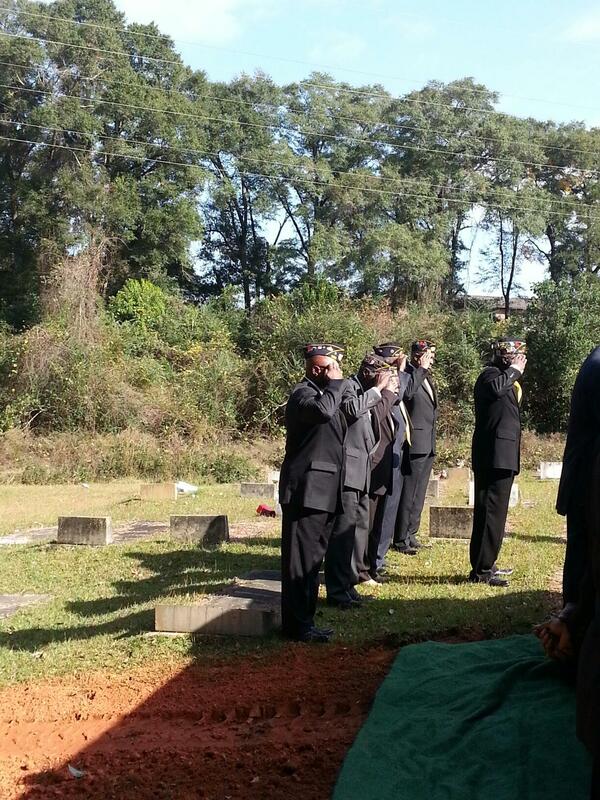 He leaves to mourn his passing a wife, Joyce Dice; two brothers: Edward Dice of Americus, GA and Torryce Dice of Forest Park, GA; three sisters: Deborah Dice and friend Charles Gordon of Americus, GA, Melinda (Charles) Johnson of Forest Park, GA and Imogene Dice and friend Patrick of Forest Park, GA; an uncle, John L. Dice of Miami, FL; two aunts: Bertha Dice of Americus, GA and Bobbie Player of Miami, FL; four nieces: Valerie Dice, Koris K. Dice, Yasmine Gordon, and Niesha T. Johnson; six nephews: Corey Johnson, Nicholas Johnson, Mario Dice, Tarvaris Dice, Baraka Dice and Edward Dice Jr., and a host of other nieces, nephew, cousins, other relatives and sorrowing friends including a very devoted friend, Becky Dice. Memorial services for Mrs. Sharon Thomas, age 52 of Andersonville, Georgia will be held on Tuesday, November 24, 2015 at 11:00 A.M. at Good News Ministry in Americus, Georgia with Bishop E.J. Wallace officiating. Mrs. Sharon Thomas, daughter of the late Geraldine Rucker and the late William Gilbert, was born September 17, 1963 in Macon County, Georgia. “Cherry”, as she was affectionately called, accepted Jesus Christ as her personal savior at an early age and joined the First Salem Baptist Church. During her elementary school years, she moved to Florida and attended the public schools of Broward County, Florida. She moved back to Georgia in her early twenties and married the late Willie Thomas. 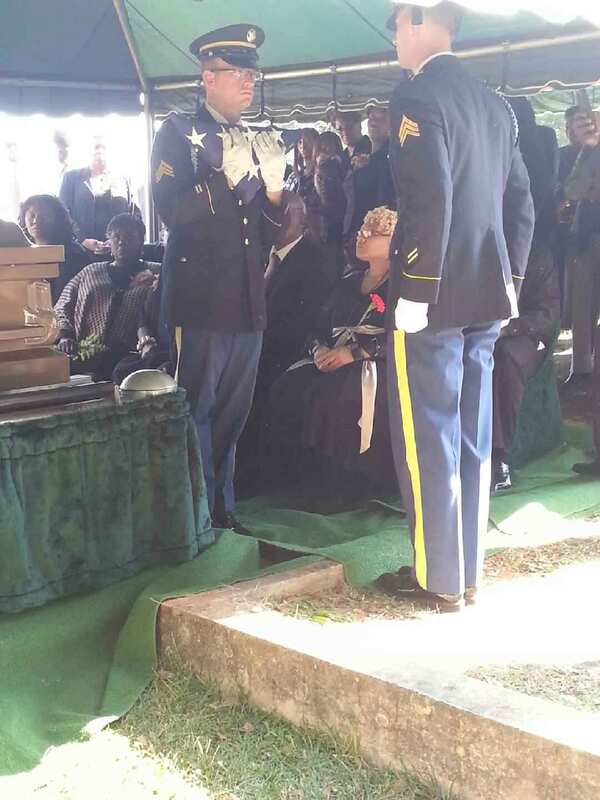 She worked at the Andersonville National Cemetery for many years and also did private duty nursing. Cherry started attending Good News Ministries in Americus, Georgia over a year ago and rededicated her life to Christ. She was cared for by her devoted husband Benjamin, nursed by her sister Teresa, and loved by her other sisters and brothers, nieces, nephews and cousins. She loved her family and church family. She departed this life Friday, November 20, 2015 at Phoebe Sumter Medical Center in Americus, Georgia. Left to cherish her memory are her husband, Benjamin Turner of Andersonville, Georgia; her sisters and brothers: Wilma Gilbert (Charles) of Ft. Lauderdale, Florida, Teresa Sneed, William Erving Gilbert and Sandra Gilbert of Montezuma, Georgia, June Gilbert, William Otis Gilbert and Tracy White of Boynton Beach, Florida; her step-children: Willie Jett Turner (Debra), Amos Jett Turner (Bobbie Sue), Benny Jett Turner (Kathleen), Eddie Jett Turner (Janice), Verrell Turner (Michelle), Katisha Ivey (Antonio) of Alabama and Darrell Turner (Tamara) of Texas; brothers-in-law and sisters-in-law: Rodger Turner (Cora), Richard Turner (Gloria) and Martha Burks (Eddie) of Alabama; aunts and uncles: Elizabeth Ann McLean, Reatha Jones (Alton), William Harris (Thelma), and Gloria White; a host of nieces, nephews, cousins, other loving relatives and friends. Funeral services for Mr. Larenza Edward Jackson of Americus, Georgia will be held on Saturday, November 28, 2015 at 1:00 P.M. in the Chapel of West’s Mortuary in Americus, Georgia with Rev. Jerome Jones officiating. Burial will follow at the Eastview Cemetery. Mr. Larenza Edward Jackson was born in Sumter County, Georgia on June 10, 1952 to the late Mrs. Eunice Jackson and the late John Jackson Jr. At an early age he joined the Jerusalem Baptist Church. Larenza loved going to church with his mother and he loved listening to music. He was a favorite of all the residents and staff of Miona Geriatric & Rehabilitation. Mr. Jackson died on Friday, November 20, 2015 in Ideal, Georgia. He leaves to cherish his memory four brothers & five sisters: Fannie Wilkerson, Washington, Georgia, Lucy Poore (Jimmy), Hamlet, North Carolina, Johnnie Wynn, Macon, Georgia, Mary Brady (Tyrone) Fort Washington, Maryland, Vyrtis Thomas (Nathaniel) Mitchellville, Maryland, Eddie Jackson (Jeanette) Forestville, Maryland, Willie Jackson (Julia), Columbus, Georgia, John Jackson (Barbara), Fort Washington, Maryland and Leon Jackson, Americus, Georgia; one aunt, Carrie Reddick of Americus, Georgia and a host of nieces, nephews, cousins and friends also survive. Funeral services for Mrs. Leila Mae Walton of Desoto, Georgia will be held on Wednesday, November 25, 2015 at 11:00 A.M. at the Americus Holiness Deliverance Church with Apostle Ida Austin Officiating. Burial will follow at the Zion Hope Cemetery. Mrs. Leila Mae Walton was born August 13, 1927 in Sumter Co. at an early age she joined Evangelical Faith Vision Ministries Inc. under the leadership of the late Apostle Isaiah Revills in 1968 in Albany GA. She loved to cook, fish, sew quilts and go to Church. She is remembered for her compassion and love for everyone. Mrs. Walton died on Thursday, November 19, 2015 at the Phoebe-Sumter Medical Center. She was preceded in death by her husband Clifford Lee Walton Sr. two daughters: Mattie Mae Dowdell and Ossie Dean Carter, a son-in-law Theaotis Carter, two brothers: Booker T. Maddox, (Catherin) and Otis Franklin. Veteran Henry Lee Lusane, Jr.
Funeral services for Veteran Henry Lee Lusane, Jr. affectionately known as “PoPo” will be held on Saturday, November 21, 2015 at 11:00 A.M. at the Zion Hope Baptist Church with Rev. George F. Monts officiating. Burial will follow at the Eastview Cemetery. Henry Lee Lusane, Jr. affectionately known as “PoPo” was born on October 23, 1963 in Sumter County, Georgia to the late Mrs. Doris Gray Lusane and Mr. Henry Lee Lusane, Sr. He was educated in the Sumter County School System. Henry was a long time employee at Cooper Lightning and a Master Barber at Mercer’s Barber Shop for twenty plus years. He was employed at Dorothea’s Beauty Salon. 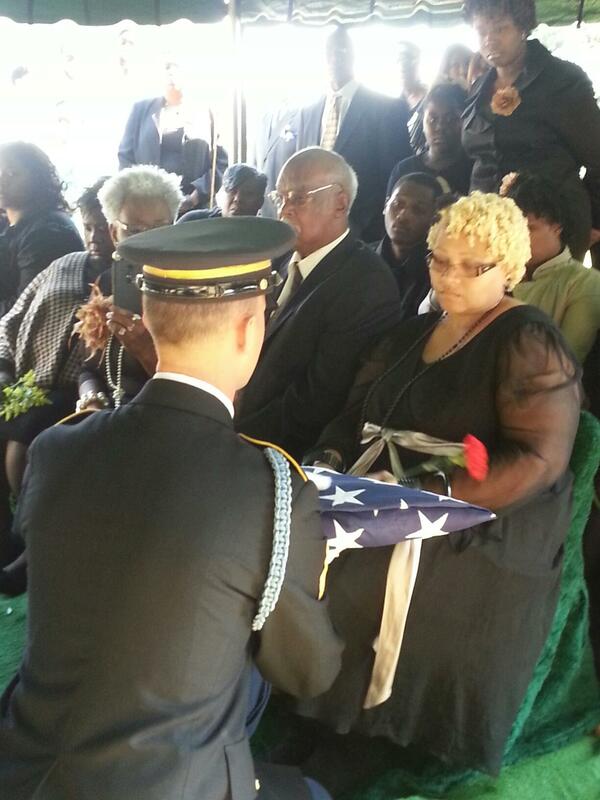 He was a veteran of the Georgia National Guard C Co. 2nd BN 121st Infantry and served in Desert Storm. He was also a long time member of the American Legion Post #558. 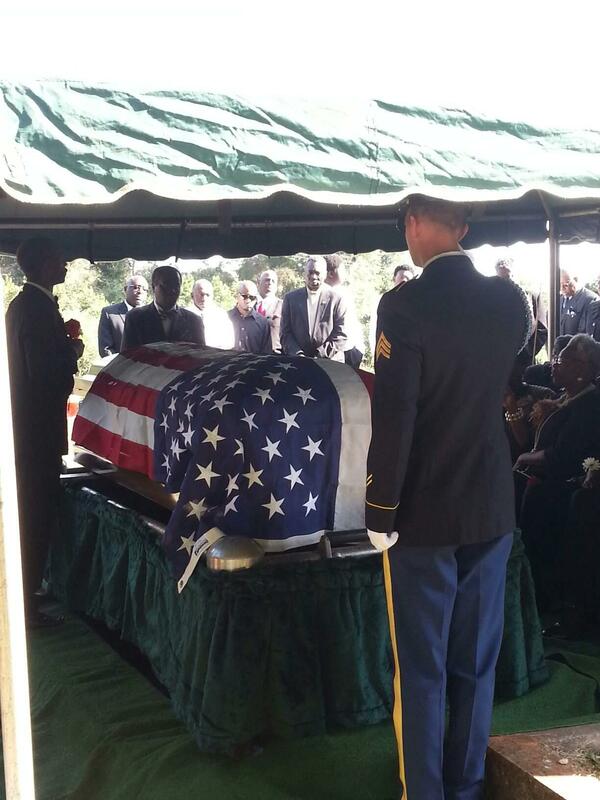 Veteran Henry Lusane, Jr. departed this life at home on Wednesday, November 18, 2015.